Have you been away from biking for a while, and thinking of coming back? 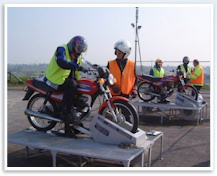 We provide a one day refresher, during which you will ride a modern bike through various road situations, getting the feel of the bike and re-learning the observations, lines and positioning for safe but still enjoyable riding. Just taken your CBT, but not planning to take your test for a while? 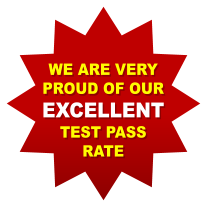 Why not have a day with us learning some of the input that test candidates get. The first half day will be dealing with any concerns you have, practicing the type of riding you find most difficult, and the second half focusing on any areas we think you need. Since these courses are usually run on a 1:1 basis and therefore tailored to the individual’s needs there are no set costs. Please contact the office to discuss your requirements.